Sentia itself is a textbook example of an organisation that has become hybrid in the IT field in recent years as a result of its fast growth. Acquisitions and organic growth have made the 25-people business develop into a major provider of cloud-managed business-critical applications with a staff of 500 across the Netherlands, Belgium and Denmark. 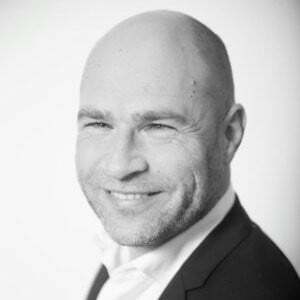 That is why CCO Paul van der Marck, who spent five years in this position at Sentia, knows better than anyone that the hybrid cloud is the end of the line for now. It is very hard to find an IT landscape that is more complex than this hybrid environment, says Van der Marck. This puts the Cloud at the top of the Gartner hype cycle. “As the CIO of a medium-sized or multinational organisation, try to combine all the different systems while ensuring that everyone in the organisation enjoys a uniform user experience”. That is often just not possible. This would require end users to deal with a wide spectrum of fragmented applications with no or limited interoperability, with all the authentication and authorisation issues that this would entail. The IT department is primarily concerned with ensuring that all IT systems are up and running and not with facilitating the business. To give an example, we use Okta as a platform to come up with such a solution, regardless of whether it is a Sentia, Azure or AWS cloud – or all of these – that has to match with Salesforce or Microsoft 365, plus all kinds of tailor-made applications. But it can also be another integration platform. What matters is that, as a CIO, you get support in your dual task to achieve platform integration and uniform user experience. Van der Marck has already mentioned the hype cycle. According to him, 2019 will be the year in which virtually all organisations will be making a partial or complete transition to cloud environments. With Amsterdam Trade Bank, Sentia recently completed such a project with its own private cloud, partly public cloud and SaaS solutions, in which the approach to platform integration is of paramount importance. As an example, the CCO describes a situation in which a company wants to save on IT expenses, whereas the IT provider wants to extract maximum profits from its customer. This often results in perverse incentives that do not help a customer achieve the desired maximum savings. Or a more scalable form of outsourcing, where an IT provider prefers to stick to outsourcing as much as possible. This concept is referred to as ‘Vested Outsourcing’, whereby the IT provider and the customer have a ‘vested interest’ in achieving each other's goals – both financially and non-financially. While traditional agreements are often seen as some sort of straightjacket enforcing a long-term partnership, Vested Outsourcing is a way of ensuring that you have an interest in a long-term collaboration. It sounds pretty logical, but it is still quite an unknown thing in the Netherlands. This article was also published in the Gartner Special. Helps organizations to lead the way! Relationship builder, coach and passionate Guitar Player. More about this topic? Ask your questions now and get a clear answer!